Camping in Nahan: is the best way to have the adventure in the lap of the nature. Dare Adventures make arrangements for tent accommodation in particular camping grounds. Camping in Nahan packages offered by us have complete range of adventure activities available in Nahan. The options may include food, lodging, adventure activities and bonfire. 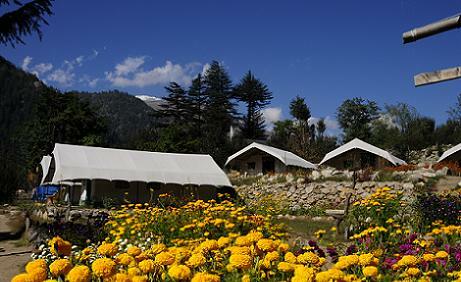 The best months of the year for Camping in Nahan are from March to middle of September to the first half of November. Warm clothes are highly recommended. Road: Solan is approachable by road from Shimla and Chandigarh. Rail: The nearest broad gauge railway station is at Kalka and nearest narrow gauge railway station is at Solan, which are connected by regular bus services.